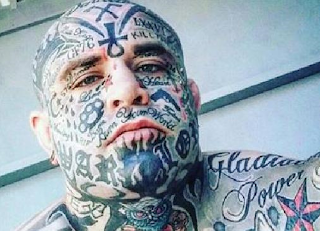 Nathan Richards has connections to the criminal underworld and has spent time behind bars. Now he is running his own music label and clothing line. 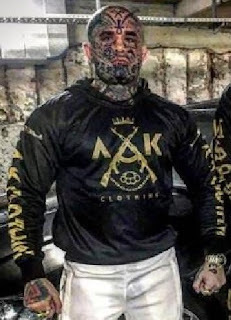 The 24-year-old now attracts an online following as he shares his glamorous lifestyle which promotes guns, crime, women, luxury cars, drugs and violence. “I’ve gone from being a soldier earning my stripes to now being a certified boss. I’m what you call an OG. I don’t gotta get my hands dirty anymore, my people look after that sort of thing for me.” While he says the business is 100% legitimate he admits he ran it from jail for a portion of last year he was arrested for breaching probation for possessing weapons. 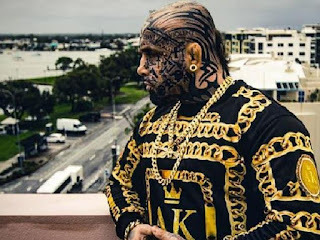 The Gold Coast local has been recording original rap tracks including his latest release “All About My Business”. 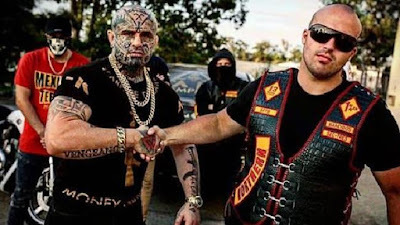 The clip features patched members of the Gold Coast Bandidos MC - both masked and unmasked. Richards insists A-K Records is the real deal, with artists from Australia, Atlanta, New York, Chicago and New Orleans signed to the label. “A-K is connected and respected worldwide,” he said. “I take hip hop artists who may have been involved in illegal activity, give them a record deal and other opportunities.